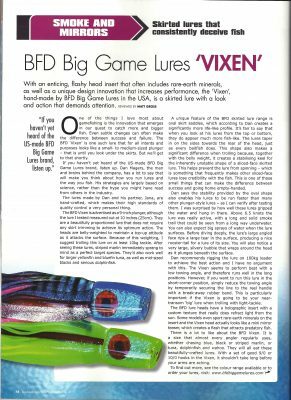 We were surprised and excited when BlueWater Sportfishing Magazine, the premiere sportfishing magazine based in Australia, asked to do an independent test on our line of 9″ plungers, the Vixens. We have a number of customers that fish the rough waters found on Australian and New Zealand coasts, and we have heard that our 9″ plungers and our extra-heavy 12″ Rockstars work well for them. They have often touted the fact that our lures “stay in the water” and the action remains true when seas get heavy. 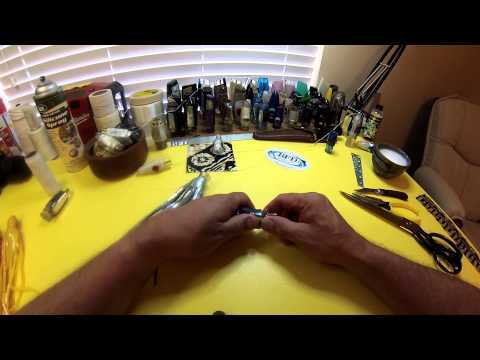 This is precisely why we designed our lures with keel weighting and oval saddles: to keep them fro spinning, and to maintain proper fish-like action when trolling. Reading the results of Matt Gross’ testing and the article he wrote in the latest issue made us swell with pride! Matt noted all of the action and stability that we work so hard to achieve. It feels pretty good to be noticed by an impartial judge, but even better when it’s one you admire and respect. The article is available to read here, but pick up a copy of BlueWater if you haven’t already. The issue is packed with great articles and info, amazing photography, and is refreshingly NOT cluttered with ads.